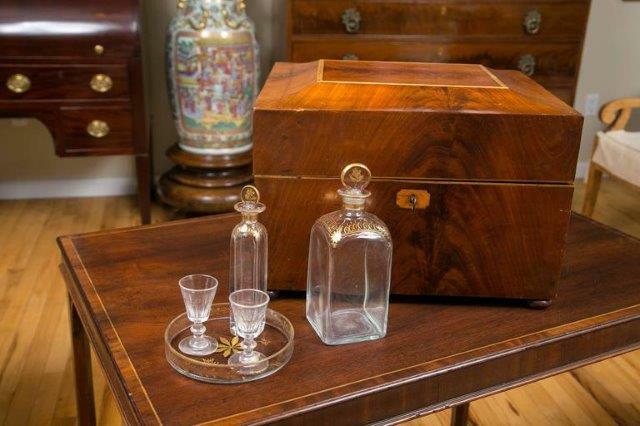 A fine mahogany Tantalus fitted with the original decanters and cordial glasses, American or English, late 18th or early 19th century. 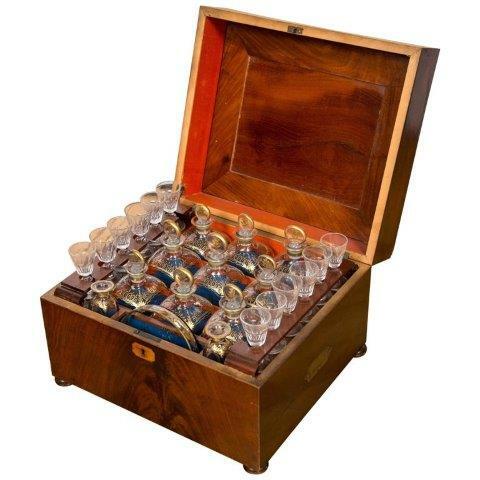 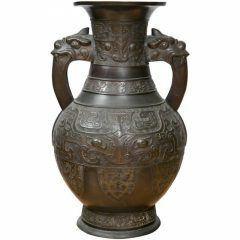 Containing six decanters and two matching cordials. 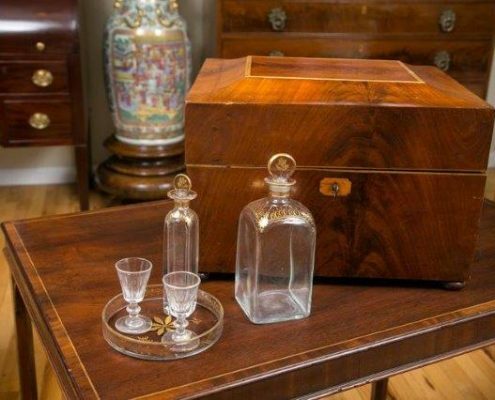 The bottles are blown glass with ornate blown molded stoppers, lavishly enameled with gold gilt decoration. 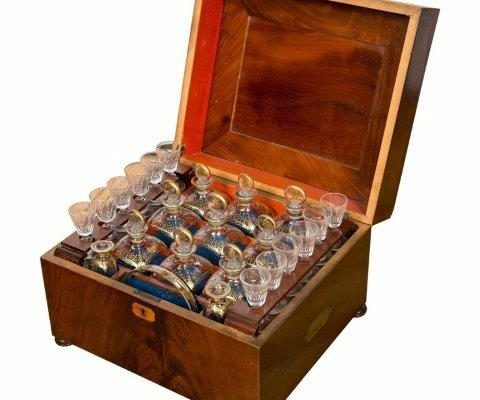 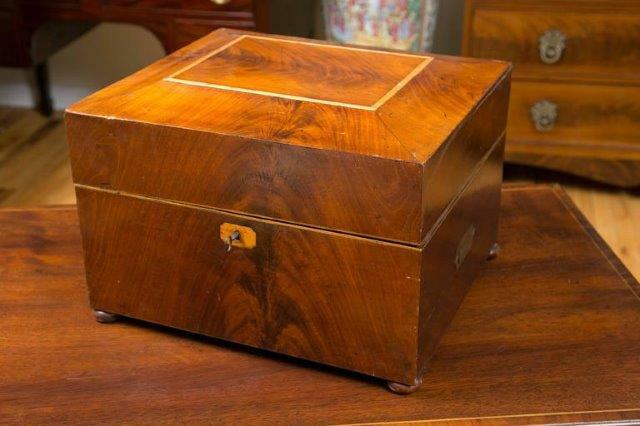 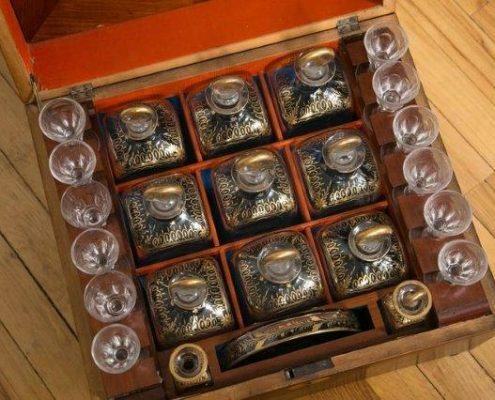 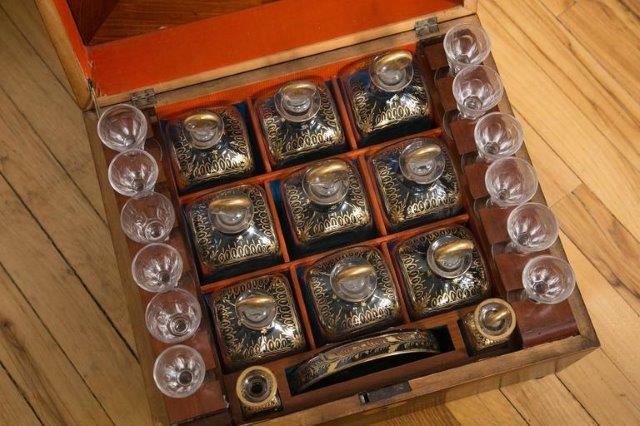 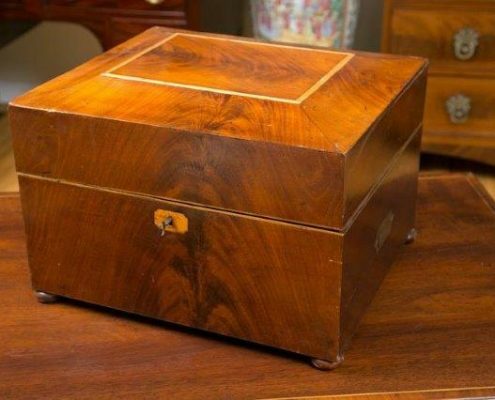 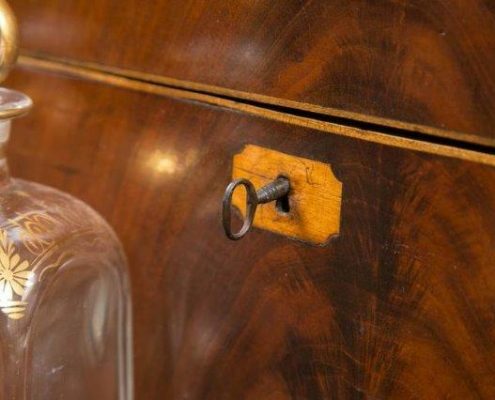 The fitted box is divided into six equal size compartments, the lid is fitted with mounts that holds two cordial glasses and retains old, possibly original light gold crushed cotton covering to protect from breaking. 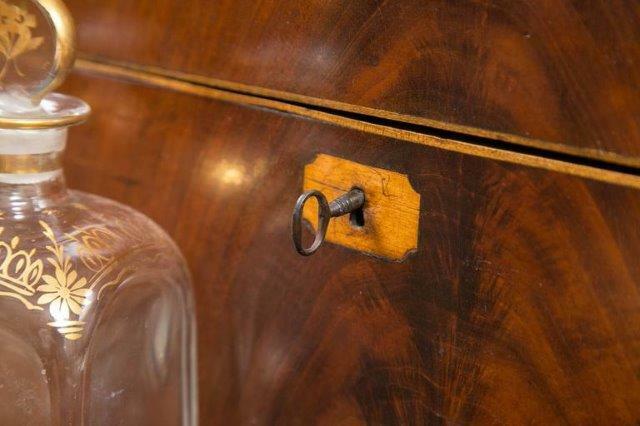 The case is mahogany veneer and features an arched top, holly inlaid diamond key escutcheon and brass side bail handles with rosettes. 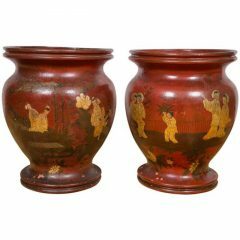 Stands on the original small bun feet.